We have two working Border Collies. These dogs have an on/off switch. On means they are working and totally focused on the job. Off means they are eating, occasionally playing, but mostly sleeping. They love their platform beds and sleep on them every season of the year. They are cool in summer and warm in winter. We have the medium size - just right and the colour green, which doesn't show dirt and in a year of use - no wear! Every once in a while we 'hosed' them down to make sure they stay clean. 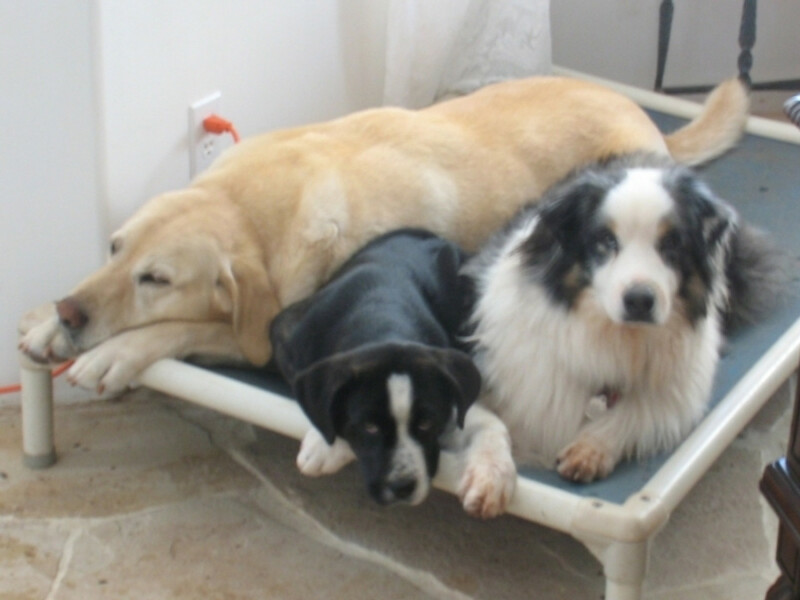 J.H., British Columbia, Canada"
We offer Kuranda dog beds that are platform beds. Easy for older dogs to get on and off of, chew proof, and extremely long lasting.